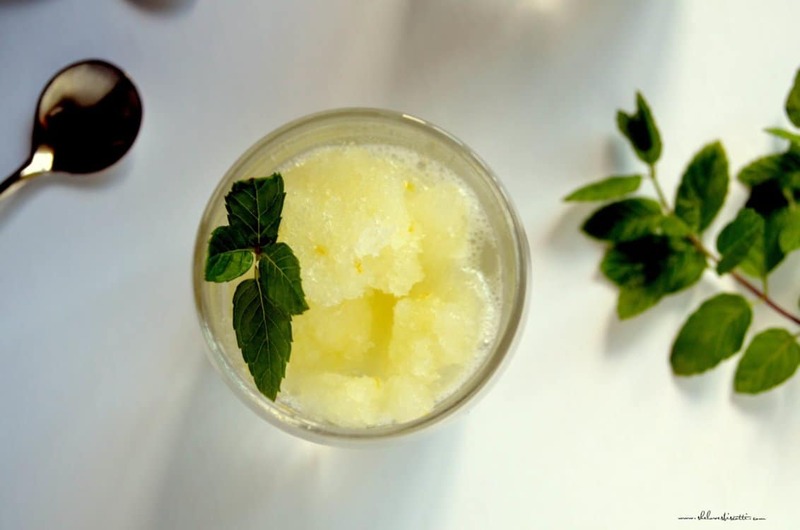 Come and see for yourself how easy it is to make this refreshing Homemade Italian Lemon Ice. No fancy ice cream machine required. 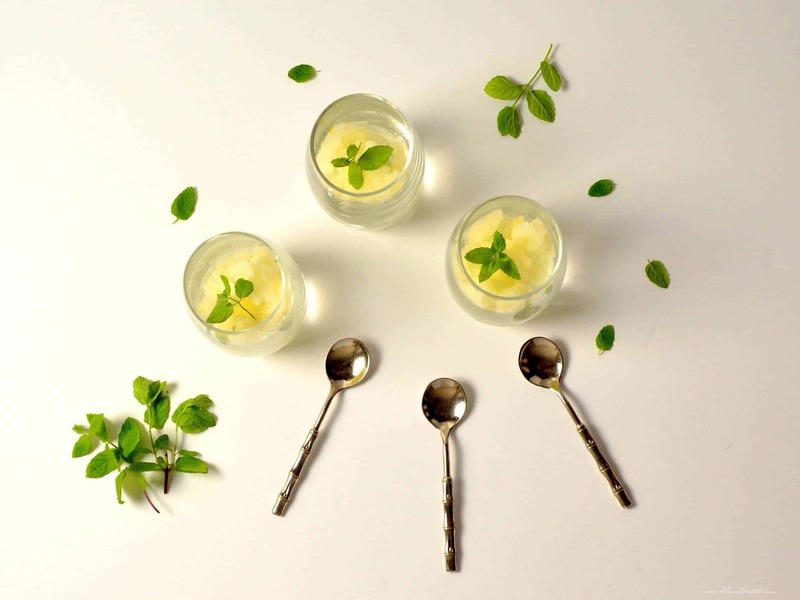 The only tool you need is a fork and you’ll be rewarded with a tangy refreshing treat to help beat that summer heat. 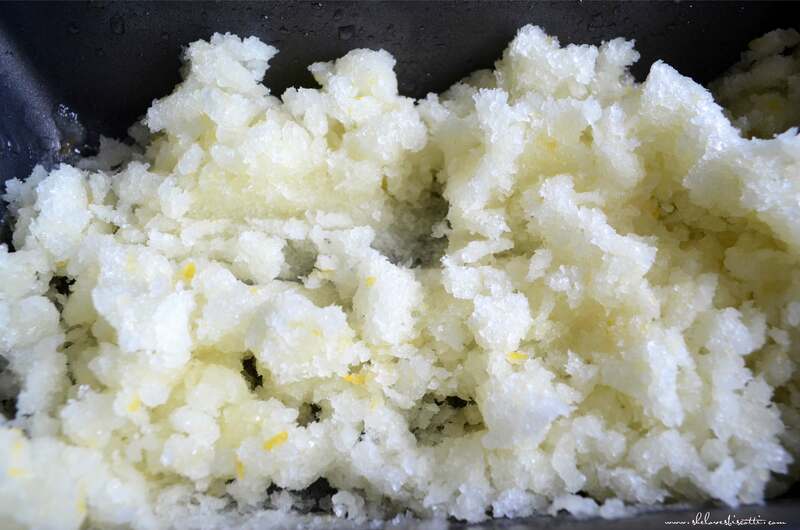 The texture of this Homemade Italian Lemon Ice can vary from being extremely coarse to smooth. The smoother consistency will be the result of constant agitation. The idea is that you want to produce individual ice crystals. This is how it’s done, in 5 easy steps. 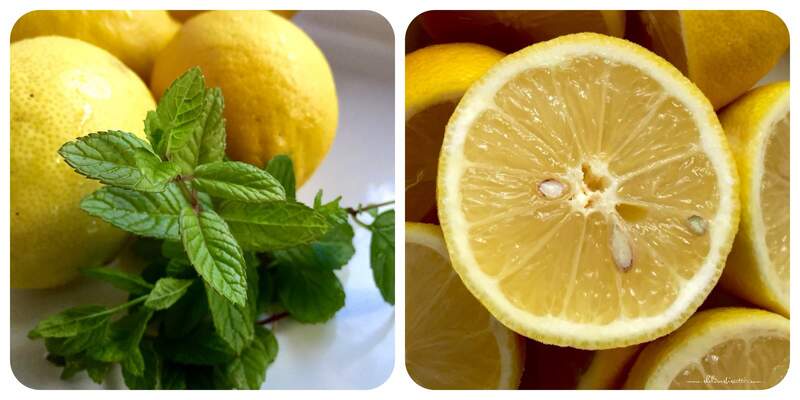 First easy step: Prepare your ingredients; rinse your lemons and mint leaves; peel, zest and squeeze your lemons. Second easy step: Combine the sugar and water to make your simple syrup by simmering and stirring for approximately 5 minutes. This will ensure that the sugar is completely dissolved. Third easy step: Remove mixture from burner; add lemon peel, zest and mint leaves and allow to steep for about 15-20 minutes. 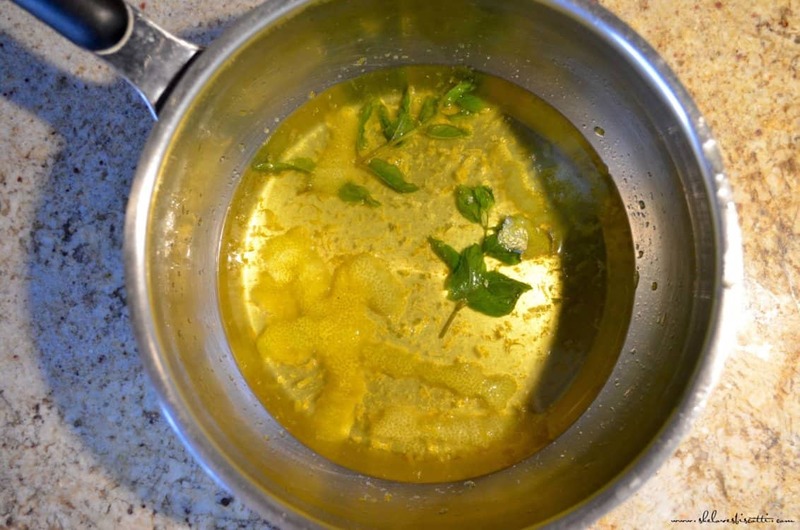 Fourth easy step: Remove lemon peel and mint; add the freshly squeezed lemon juice and pour the mixture in a tray or pan (I use a metal loaf pan). Fifth easy step: Place pan in the freezer for approximately 30 minutes. Stir the mixture with a fork to break up the formation of ice. Make sure to break up the ice in the corners. Repeat every 30 minutes for the next three to four hours. Recently, my husband was watching the Sandwich King on the Food channel. The episode was called Chicago Street Food and one of the recipes featured was Italian Lemonade. My mouth started watering immediately and so I had no choice but to go buy some organic lemons and start squeezing! 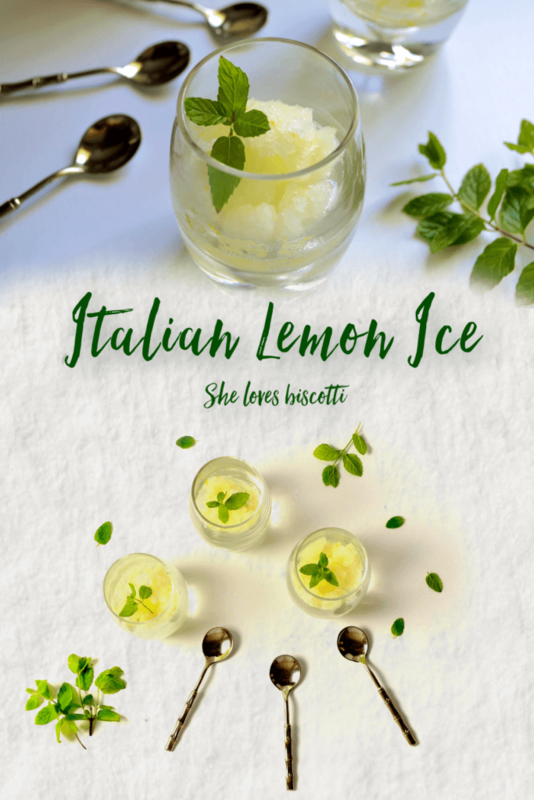 This recipe for Homemade Italian Lemon Ice is sure to become a summer staple in your household, as it is well on its way to being one in mine! 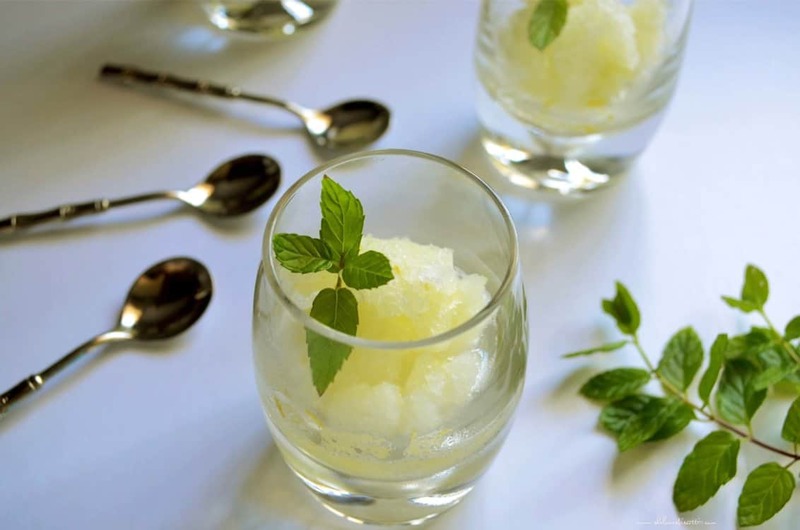 Forget the fancy ice cream maker, you can make this refreshing Homemade Italian Lemon Ice in 5 easy steps-with a fork. 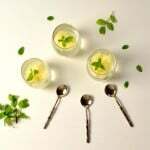 Add lemon peel, zest and mint leaves and allow to steep for about 15-20 minutes. 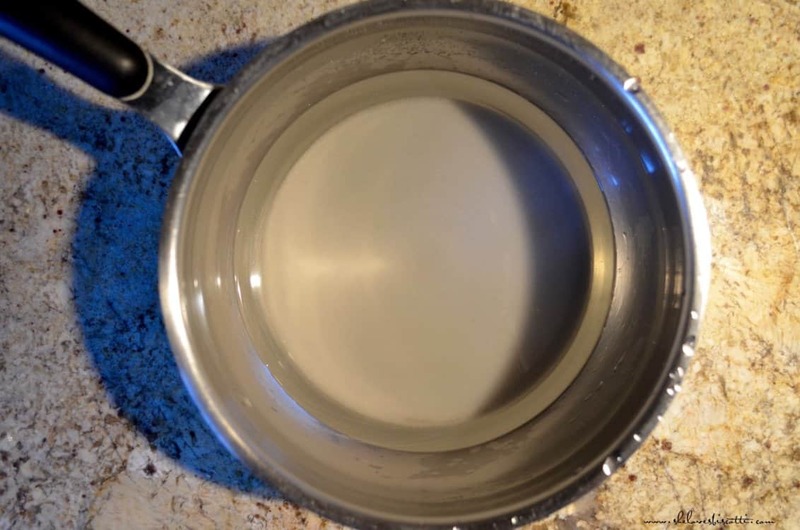 Pour liquid in a shallow stainless steel pan. Place in freezer and stir to break up the ice every 30 minutes for 3-4 hours. The consistency should be granular but still slushy. Try to remove the white pith on the lemon peels as this will make your lemon ice bitter. 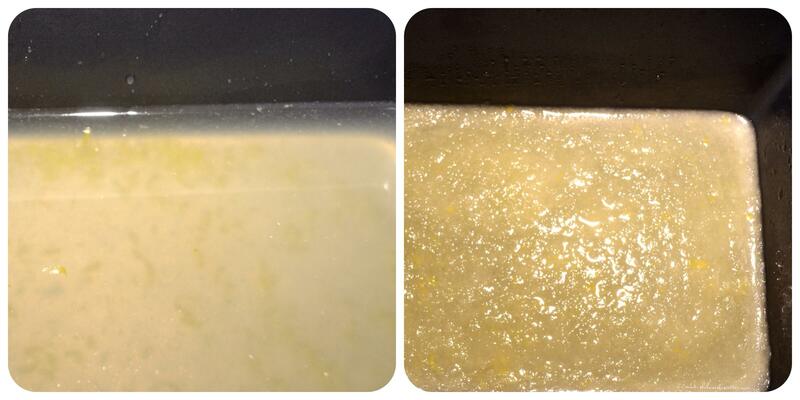 To speed up the freezing process, place your empty pan in the freezer, while you are prepping the lemons. This was delish! I used light brown sugar and added 1/4 cup of homemade rice milk, and used my cuisinart icecream maker. It tasted just like the real thing. Thanks for this awesome recipe! Does anyone know if this can be made with an ice cream maker instead of the fork scraping method? ?